Getting organized includes determining how you are currently using your time and then setting priorities. It’s also important to choose planning tools to organize tasks and accomplish goals. Create a daily, weekly, or semester schedule outlining tasks to accomplish. A semester schedule should have general goals while weekly and daily schedules should be more specific. It’s important to keep a mindset that life is your “project” and you are in charge of its success. Learn why you procrastinate and how to change it by eliminating external time wasters. Keep a to-do list and complete several tasks a day. Foster creativity by scheduling time to let your mind wander. Break down large projects into a series of achievable milestones. 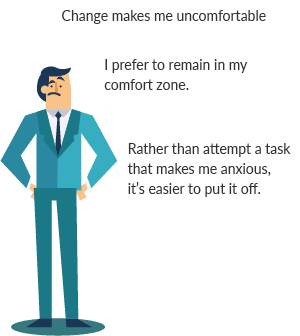 Students assigned to mental contrasting activity (a visualization method) scored 20%-35% higher on quizzes than those who visualized obstacles standing in the way of earning a high score. Focus on the task at hand rather than intrusive thoughts. Push through anxiety by working on a little bit each day. Ask for help creating a realistic timeline. Dopamine has a direct correlation to motivation, and its job is to encourage us to act. Lower levels of dopamine cause people to look for the easy way out while high levels of dopamine motivate people to work for intrinsic and extrinsic rewards. Test anxiety and preoccupation with performance have been identified as the greatest sources for negative performance. Learning proper study skills and test-taking strategies have shown to reduce anxiety. Ask for help defining realistic expectations. Reward yourself for reaching mini-goals along the way. Seek emotional support when you put too much pressure on yourself. In a 2009 study, Vanderbilt scientists mapped brains of achievers and procrastinators. Those willing to work diligently for rewards had higher levels of dopamine in the striatum and prefrontal cortex—areas known to impact motivation. College students who wrote down goals accomplished significantly more than those who did not in a 2015 study. Set your own deadlines in order to create a natural adrenaline rush and complete tasks before they are really due. Rather than relying on stress figure out other potential motivators that work for you. Engage in leisure activities that give you an adrenaline rush. In a 2006 study, girls had higher levels of self-discipline than boys and displayed 5%-20% more self-control. Girls also earned higher grades than the boys. A 1997 study at Case Western Reserve University found that students who procrastinated had lower levels of stress initially than other students. 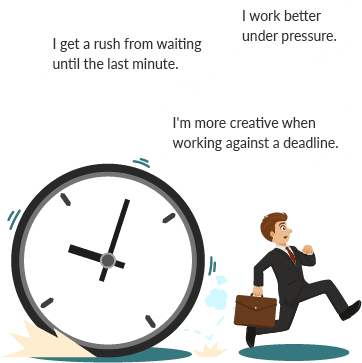 However, the negative effects of procrastination outweighed the initial benefits as the students who put off assignments earned lower grades and reported higher cumulative amounts of illness and stress. Add “downtime” to your to-do list. Practice saying no when it’s appropriate to do so. Prioritize your to-do list on a regular basis. In a 1995 study, researchers found self-discipline to be the only one of 32 measured personality variables to predict college GPA more accurately than SAT scores. A 2004 study of undergraduates found students with the highest levels of self-discipline self-reported higher grades and a broader variety of personal and interpersonal strengths. Found on many campuses, Student Development Centers often offer workshops on workshops on time management, as well as mentoring programs that cover managing time effectively. Student advisors can offer recommendations for campus and off-campus programs that focus on time management. They may even have seminars and workshops that can help. Students can get help with time management and organizational skills by visiting campus tutoring centers and taking advantage of study skills workshops and other services. This guide from Dartmouth College features handouts, videos, and learning links for developing time management skills. This planning sheet from Willamette University lets students schedule a semester’s worth of work ahead of time. Bucknell University publishes this comprehensive online resource for students. It includes PDFs to get organized and create schedules, as well as a video with concrete ideas to achieve school-life balance. University of Washington Bothell provides a list of time management tips for students learning how to balance school work and free time. Was time management an issue with your students? How did you address it? Yes, time management was an issue when teaching college students and I used a combination of strategies to address it. The amount of reading in all of their courses was overwhelming, so I taught them to read differently. I explained that they couldn’t possibly do everything in detail, so it was a matter of figuring out what they needed to do and what they didn’t. I used the technique of reading chapter headings and conclusions to get the flow of the material. Then they could go back and review concepts they were unsure of. I also taught my students how to set a schedule differently. 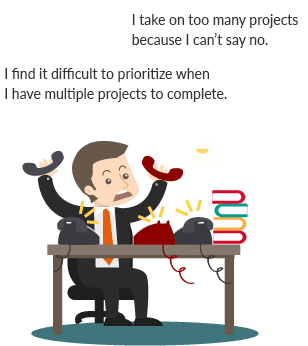 Instead of focusing on getting a task done–which can be demoralizing because most of us are unrealistic about planning how long a project will take–I showed them that it’s more productive to work on a project for a certain amount of time. That way, if you spend 30 minutes, no matter what you get accomplished you can feel successful. What types of note taking methods were most successful for your students? I think it’s important for students not to be so focused on taking notes that they aren’t listening. Instead of writing every word, it’s more productive to write down main topics and focus on the content. They can always go back and look something up later if they don’t understand. Outlining works very well with this strategy. Did you address memorization strategies? I’m big on using mnemonic devices and repetition. For factual information, I think flashcards are great. Did any of your students have issues with test anxiety? I did have quite a few students with test anxiety. Personally, I took away the time issue out of the equation altogether when testing. I also taught students not to psych themselves out by using positive self-talk. “I can do this. I’m well prepared for this test.” A lot of anxiety comes from worrying about what happens next on a test, so I think it’s important to look over the whole exam first and then start with what is easiest. How, when and why students take notes can mean the difference between scholastic excellence and academic mediocrity. Learn everything you need to know about taking notes below. Don’t just write down everything the lecturer says. Instead, listen to what is being said and relate it to your own experiences. Cognitive processing, or connecting to prior knowledge, means you are able to put the information in your own words. Lecturers provide classic cues that identify the learning materials that are most important—vocal emphasis, pauses, gestures, and the amount of time spent on a concept. Create a balance between listening for and recording main ideas and listening to pertinent examples. Revisiting the material, highlighting, and recopying and revising notes all help you to remember the material. Although there are many ways to take notes, individual learning styles determine which methods work best for each student. Read and write learners are more likely to find success with the Cornell Method or Outlining while visual learners may prefer mind mapping. Here are four of the most popular note taking methods. Dr. Walter Pauk, a Cornell University professor, developed the Cornell Method for college students to organize their notes for future study. By following the steps in the Cornell Method, students can increase comprehension through active learning and critical thinking. Prepare for recording notes by setting up the page. Draw a vertical line 2 ½ inches from the left edge of the paper. The area to the left of the line is the recall column. The larger, right column is for recording information from the lecture in outline or paragraph format. Leave space at the bottom to summarize your notes. Review your notes as soon as possible after class, preferably within 24-48 hours, to improve recall by up to 80 percent. Write key words and phrases from your notes in the recall column, using the fewest words possible. Then summarize the discussion in your own words at the bottom. Cue your memory by covering your notes and stating key words and phrases in your own words. If necessary, use the recall column as a trigger. If you’re still unable to recite your notes, read over them and try again. After completing Stage 3, spend some time thinking about them. Determine which aspects you are strongest in and which you need to study more. Engage in the material by making generalizations and drawing conclusions. Briefly review your notes to help retain the information you’ve learned. It will allow you to keep the information fresh and easily retrievable when you need it during the exam or class discussion. Summarize lecture here after class. Mind mapping is a visual tool, developed by Tony Buzan, used to structure and organize large amounts of information so it can be absorbed easily. Mind maps are helpful in many circumstances. When students use mind maps it students it makes it easier to take notes and retain information taught in classroom lectures by highlighting the relationships between different topics. Turn a blank sheet of paper horizontally and write the major concept inside a circle in the middle of the page. Add main ideas related to the concept and circle them. Each main idea should have a line connecting it to the major concept in the center. Use brief keywords and phrases rather than sentences. Highlight related ideas with the same color. Each major concept will get its own mind map. Take notes on the side of the page to help you remember relationships. This method organizes information into main topic, sub-topics, and supporting details, separated by indentations. The most general information is listed close to the margin with specific details moving outwards. Some students use bullets or numbers to make a distinction between information, but it’s not necessary if indentations are made. The outline method makes it easy for students to create study guides and to prepare for exams. The charting method works well with subjects that can be easily broken down into categories (date/event/impact, pros/cons, etc.). Students should create charts prior to the lecture for the best results. Identify categories to be covered during the lecture. Fill in information under the appropriate category during the lecture. Campus writing centers offer workshops and other instruction covering how to take notes effectively. English graduate students are usually available to look over rough drafts of papers as well. Students can visit campus tutoring centers for personal assistance learning different note taking styles. Look for student study seminars specializing in note taking as well. Your individual professors may have some great suggestions for the type of note taking that works best with the subject they are teaching. They may provide this info if they use smart boards and the like, or you can ask them for suggestions by making an appointment with them. Dartmouth College publishes this comprehensive guide that teaches students how to record notes that make it easy to prepare for exams. It includes links to handouts, videos, and other resources. In this document from Willamette University’s Learning Center, students learn tips for taking notes in class. Teacher Vicki Davis examines the best note taking methods for different types of learners. The Academic Skills Center at California Polytechnic State University instructs students in the different note taking methods available to them. Studying? Of course there’s an app for that! Since you’re on your phone so much anyways, why not download some of these helpful study tools? After setting the timer on this app, students can focus on the task at hand until the alarm rings. By creating a running list of tasks and a certain time to complete them, it’s possible to focus on one project at a time. Students can adjust settings and set notifications as they adapt. Students can locate, create, and share SMART FLASHCARDS on Brainscape to increase learning speed and study effectively. The app uses an interval formula to determine how often a concept is repeated. Staying organized is easier when students can sync notes between all of their devices with Evernote. Between making to-do lists, checklists, and creating notes with 3D Touch, students can stay ahead of the game. With many commonly-tested words from college and graduate school entrance exams, Exam Vocabulary Builder assists students in building strong vocabularies. The quiz feature tests student progress and a spaced repetition mode helps students memorize words quickly. The app automatically tracks progress and lists statistics. Focus Booster strives to help students improve focus and productivity with the pomodoro technique for time management. Work sessions are broken into 25-minute intervals and separated by a 5-minute break to refocus. This scheduling app helps students stay on top of their classes and assignments. Four buttons—Today, Calendar, Assignments, and Planner—can be located at the bottom of the screen. Students add classes, types of courses, and assignments. It’s easy to assign icons to match the categories. 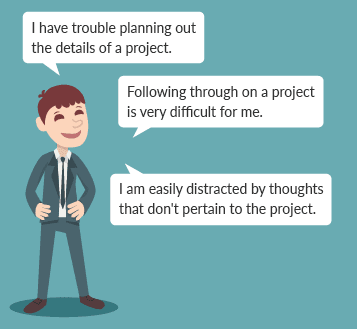 Organizing thoughts, tasks, and projects is easier with the Outliner app. Students can create to-do lists, track projects, and share outlines with other users. Outliner syncs with Dropbox for online editing. 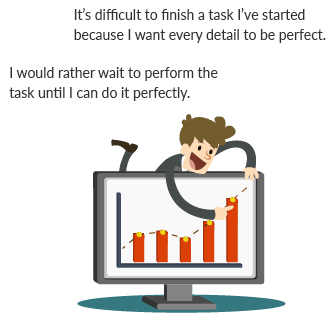 Visual learners can track progress with a pie-chart of tasks and subtasks that displays percentage completed. Students can create their own flashcards or use one of the millions of sets already created by other users. Study modes allow students to take multiple choice tests or participate in study games. This app is useful for any subject or grade level. Simplenote is a free way to keep notes, lists, and ideas together, synching them to all devices. Students can organize notes with tags and pins, so it is easy to find them later. It’s also possible to share notes with other people. Cloud-based Todoist automatically syncs notes and tasks between all devices to help students keep organized. Students can color-code projects, assign subtasks, and set due dates and reminders. Keeping track of tasks is simple with custom filters. MnemonicsIn elementary school, students learn silly sentences to remember important facts. For example, the first letter of each word in “Please Excuse My Dear Aunt Sally,” represents the standard order of operations: Parentheses, Exponents, Multiplication, Division, Addition, and Subtraction. Another popular mnemonic is “King Paul Called Out for Gus and Sam,” for the division of the animal kingdom: Kingdom, Phylum, Class, Order, Family, Genus, and Species. 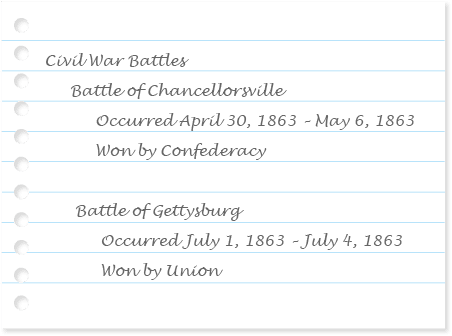 Note Cards/Concept CardsFlashcards are helpful for memorizing concepts, facts and figures. Because they’re portable, students can carry them around and practice throughout the day. It’s always a good idea to shuffle flashcards instead of remembering them in order. Read Aloud/Repetition Because reading material out loud improves memory retention, students should recite their notes for practice. Even reading their notes out loud two or three times a day can be helpful. Mind MapsBy creating associations and connections, mind maps are an important way to improve memory. 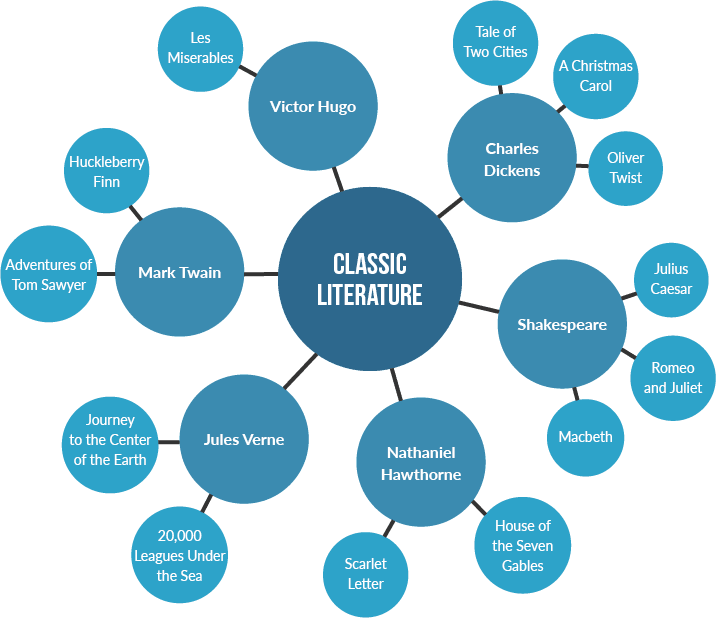 When using colors and images, mind maps help students make connections to the material. Create Practice TestsDevising practice tests requires reviewing and making a connection to material. Students should come up with as many multiple choice questions as possible using their notes as a guide and then answer the questions based on memory. Teach Someone Students can practice and manipulate concepts to help memorize what they’ve learned. Lecturing to the mirror and teaching material to other people are examples of experiential learning. DiagramsDrawing diagrams helps to visualize information, making it easier to recall material during an exam. Practicing with diagrams is particularly useful for exams that require drawing or labeling diagrams. Rewriting Some learners remember information when they write it out. Students can copy their notes over several times to memorize the material. ListeningAuditory learners benefit from listening to lectures over and over again. Record the material once and play it back continuously while sleeping or driving helps students remember information. Some instructors permit students to record lectures. SQ3RThis structured approach is useful for learning chapters or sections of textbooks. S:Survey the chapter to get an overview, reading the chapter summary and headings. Briefly look over illustrations and tables. Q:Develop questions based on the chapter headings, similar to what you would find on an exam. 3R: Read the chapter and answer your questions. Recite the questions and answer them from memory. Review your answers for accuracy. Learning Resource Centers on campus promote student success for undergraduate and graduate centers by offering workshops and webinars on a wide variety of subjects including retention. See if the psychology department at your school offers information, talks, seminars or other similar events on memory and retention. The Global Community for Academic Advising offers online and institutional resources for studying. This tutorial includes tips and strategies for taking tests from Saint Mary’s College of California. Long Beach City College offers free online videos that highlight study skills, note taking and retaining information. Are you doing everything you should be doing to study for that big test? Mark off tasks on a study checklist as they’re complete. Start studying one week before the test. Find out what the test entails: How many questions? What type of questions? How much time will be given to complete it? Create a comfortable study space free from distractions. Identify the main points to study based on class notes, text, and assignments. Develop a review guide that includes a summary of all important information. Sign up for all available study sessions. Read review guide aloud for practice. Write out the review guide on paper to help you memorize. Test your recall of the important information. Eat a healthy diet, exercise, and get adequate sleep the week before taking the test. For students who suffer from test anxiety, exams can be a nightmarish experience, but it doesn’t have to be that way. Here are some common fears about taking tests and solutions for taking control. Look over each section of the test. Think about how much time you have to finish the entire test and budget your time. Focus on the sections worth the most points. What if I don’t understand the directions? Read the directions slowly and carefully. If you still don’t understand the directions, ask the instructor for clarification. What if I forget what I studied? On timed tests, don’t waste time on difficult questions. Skip them and come back to them later. Remember what you do know about the subject, even if that’s not quite the question. What if I have so much information in my head that I can’t think straight? When the test begins, use a piece of scrap paper to write down definitions or formulas that you need to remember. Use it as a reference during the test. What if my body tenses up? Breathe deeply and exhale slowly, allowing yourself to feel the tension draining from your body. Visualize yourself in a peaceful setting such as a sunny beach. What if I panic as soon as I start? Remember, you don’t need to know the answer to every question. Use the power of deduction. Read each possible answer before making a decision. If you are still unsure, move on and come back to it later. What if everyone else has already finished? Stay focused. Ignore the other test-takers and concentrate on yourself. Chewing gum can help you relax, if permitted by the instructor. What if I finish too fast? Use leftover time to review your answers. Make sure you answered each multiple-choice question. Reread written answers and check for grammar and spelling errors. The best way to prevent a failing grade is to prepare ahead of time. Create a manageable study schedule that covers all of the information you are expected to know. Get plenty of rest the night before. If you do fail, remember you are capable of bouncing back. Campus testing centers offer assistance with test-taking preparation. They have practice tests and should also have handouts about how to prepare for testing at your school. Students can find help with test taking at campus career and academic centers. Your professor can help you prepare for exams by offering review sessions and study guides. If you need more help, make an appointment to talk more in-depth with your professor regarding upcoming tests. Students with learning disabilities can get tips and extra help for taking tests in some instances. This guide provides suggestions for dealing with test anxiety from the Upward Mobility Program, a joint venture of the State of Illinois and AFSCME. These are concrete test-taking methods from Brigham Young University’s Counseling and Career Center.